As I was wandering through the central business district of Perth we passed the town hall and discovered that there was an exhibition on Nikola Tesla. This immediately grabbed my interest, particularly since such exhibitions tend to be free (not that I'll wander into an exhibition based entirely on cost - there has to be some interest for me to spend some time wandering around the exhibition). I've always seen Tesla as somewhat of an enigma, particularly since he always played second fiddle to his contemporary, and boss, Thomas Edison. Yet, many of Tesla's inventions were at the cutting edge of technology at the time, and he did make quite a sum of money in his early years. However, as time went on, and his experiments become somewhat more extreme, he took on the title of 'mad scientist', and eventually died a pauper. It is interesting that Elon Musk has named his company after Tesla, and one wonders whether he is destined to follow in the footsteps of his company's namesake. Like Tesla in the early days of electricity, Musk made his fortune in the early years of the internet and has since struck out on his own. Yet, he has funneled an incredible amount of money into developing the electric car, the patent which he has released into the public domain. He has also developed the power wall, a method to allow houses to store electricity for uses in down times. In fact, he seems to be focused on developing technology to effectively store electricity so that we become less reliant upon base load power that is produced by dirty methods such as coal fired power plants. 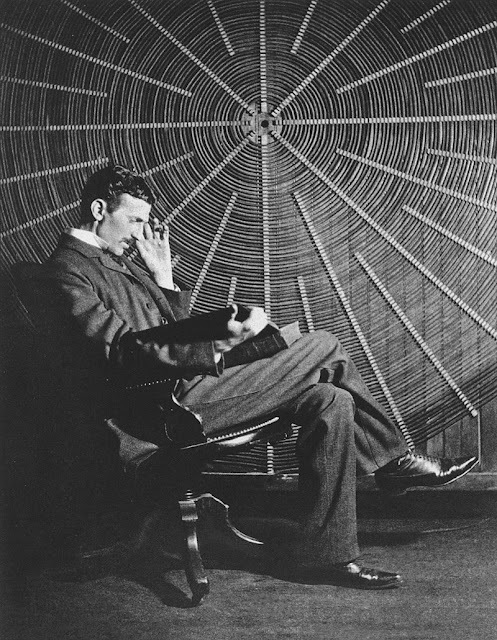 However, this post isn't about Elon Musk, even though there are some connections, but rather about Nikola Tesla, so let us instead look at his early life. 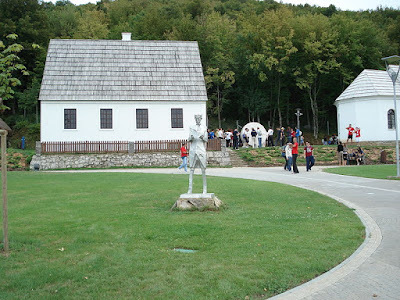 Telsa was a Serb, born in Smiljan, a village on the frontier of the Austro-Hungarian empire. While his father was a parish priest, he was also a bit of a technophile, making tools and mechanical appliances. At the time people in the region were being conscripted into the army, but Tesla managed to evade conscription, namely by disappearing into the woods where he lived a life as a hunter, and also spent time reading. Tesla studied at high school (called a Gymnasium in German) at Karvolac, where he managed to complete a four year course in three years. He was said to be able to do integral calculus in his head (which is an impressive feat, though it has been years since I have done integral calculus, so I can't really comment on whether it is possible or not, but I believe that it is). Mind you, the teachers weren't too impressed, and accused him of cheating (though how he did that is beyond me - it's not as if he could look the answers up on Google). His university studies were conducted in the Austrian Polytechnic at Graz. Like Highschool, the lessons were conducted in German, which wasn't too much of a problem for Tesla. He had already shown a fascination with the power of electricity, though his aptitude did bring him into conflict with his professors. However, while he was successful at university (to an extent - he failed his final year and as such never actually completed his studies), he did get caught up in the lures of the University lifestyle (though I'm not entirely sure if life at the Austrian Polytechnic is anything like our modern universities). For instance he became a problem gambler - a temptation that I'm sure many a mathematical genius is lured into - though he was fortunate enough, after losing a lot of money, to eventually win it back, and break even. He basically left it at that. He moved to Prague with the intention of completing his studies, but not only did he arrive too late to begin the course, he also lacked a background in Ancient Greek (a required subject at the university), nor was he able to speak Czech (which, not surprisingly, was also a required skill at a university that happened to he in Czechia). He did 'audit' some courses, but never completed university, and ended up travelling to Budapest where he worked for the telephone exchange, and then eventually scored himself a job at the European branch of Edison's company in Paris. At the time the only form of electricity that was being used was direct current (otherwise abbreviated to DC). The problem with DC is that it can't be transmitted across long distances. This is the problem that Tesla wanted to solve, but his problem was that, like many young inventors, nobody took him seriously. The thing with breaking into the world of the big boys is that you need to either have some credentials behind you, or somebody who actually thinks that your ideas might be worth something. Unfortunately, Tesla had no credentials (he did flunk out of university), and his professors thought that he was a crackpot. The difference between AC (alternating current), and DC is that alternating current periodically changes direction, where as direct current doesn't. As such alternating current can be sent greater distances. The thing with sending electricity over a distance is that it inevitably encounters resistance (known as the Ohm), which makes it weaker and weaker. As such if it is sent too far then it practically becomes useless. These days alternating current is what comes out of our power sockets, while direct current comes from batteries. The development of alternating current is what was to catapult Tesla into the history books, because it meant that we could then generate electricity at a central point, and then send it over distances to where it would be used. At this time you couldn't really transmit electricity, so if you wanted to use a lamp you needed to have some sort of battery to make your device work. 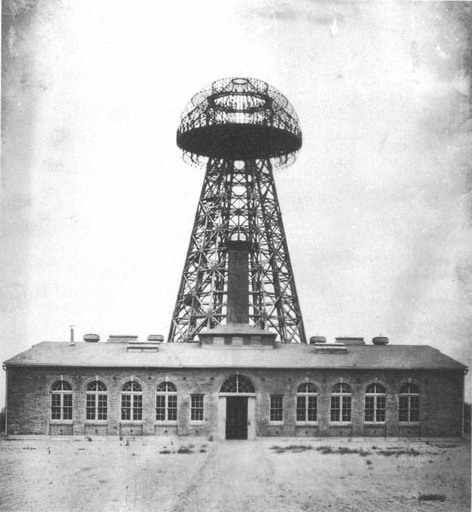 However, Tesla went on to experiment with even more outlandish projects, including attempting to develop wireless technology, not only for communications (or the internet), but also as a means of delivering electricity. Mind you, the thought of having thousands of volts of electricity flying above my head is somewhat discomforting - I think I'll stick with the power poles (or as we called them in South Australia, Stobie Poles). Edison's boss, Charles Batchelor, wanted to return to the United States, and in doing so brought Edison with him. 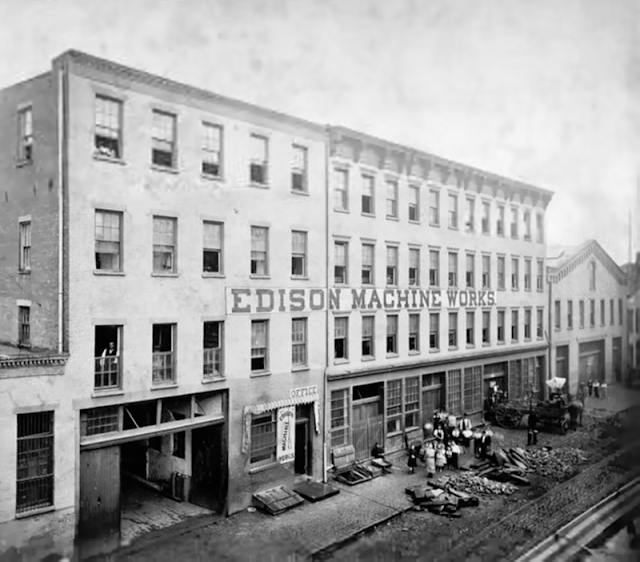 He immediately began to work at Edison Machine works, but after six months left over a number of reasons. One of them was, not surprisingly, pay. Allegedly bonus were offered only to be reneged on later. Further, Edison was given the opportunity to develop a system of arc lights for street lamps, something that Edison's current designs were not able to perform. The problem with arc lights (which generate light by creating an arc of electricity between two points) is that they require an awful lot of energy to create. However, these plans were eventually shelved due to developments in other methods of lighting the streets (though these days streets are lit using a completely different method). After leaving, Tesla continued to develop his arc lighting method, and gained the interest of a couple of businessmen. 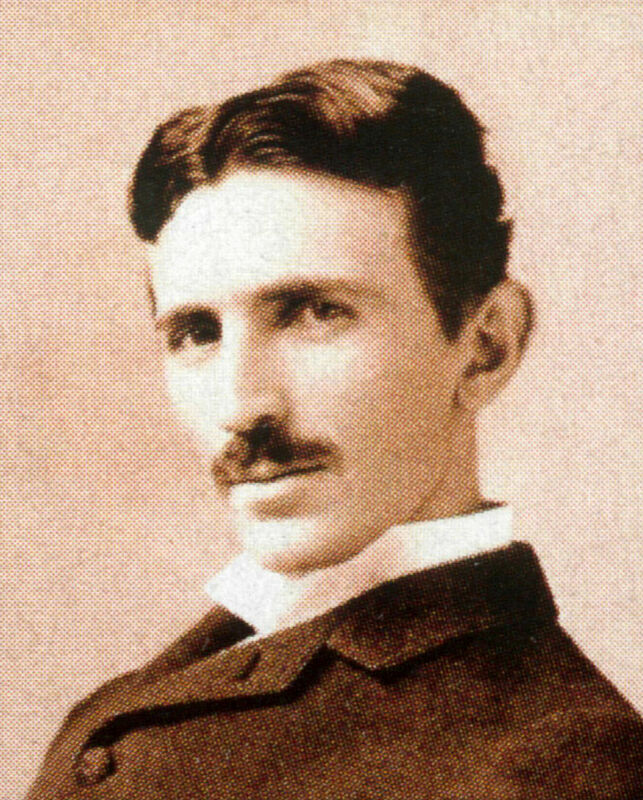 Due to Tesla's advanced designs, he gained some contracts to establish the system, but was soon to discover the harsh nature of doing business in the United States. While he had patented his designs, he had given them to his company in exchange for stock, and his investors eventually left to start their own utility. This left Tesla without a cent to his name, and found himself fixing gadgets and digging ditches, which to him felt like an insult considering his skills and knowledge (sort of like having a law degree and working in a call centre). As for his theories of alternating current, well, at the time, nobody was interested. However his luck changed when he met Alfred Brown and Charles Peck, who agreed to fund his research into developing a viable AC motor. Alternating current was starting to gain traction in Europe, and due to the size of the United States, there was a viable use there. As such Telsa began to work on a motor that was superior to many of what were available at the time. He was then brought into the Westinghouse company as a consultant, since George Westinghouse was looking for a viable AC motor, and Tesla's seemed to do the job. As such he was given the kingly sum of $2000.00 to work as a consultant. The problem is that Tesla was a man who did things his own way, and found himself in conflict with many of the engineers at Westinghouse. Rumor has it that Tesla first came upon the idea while he was walking in a park in Budapest, and drew the initial plans in the sand. However, it wasn't until he met Brown and Peck that he was able to put time and energy into developing the motor. This motor was actually incredibly revolutionary, and is one of the cornerstones of our modern society. In fact anything that has a motor has a device that is based upon this invention of Tesla's. The rotating magnetic field was first conceived by French astronomer Arago at the turn of the 19th century, and the theory was built upon by Michael Faraday. However, despite numerous experiments by Faraday and others, they simply were not able to put these theories into practice. In wasn't until Tesla came along that he was able to find a solution to the problems that were faced by Faraday and others, develop the motor, and eventually patent it. 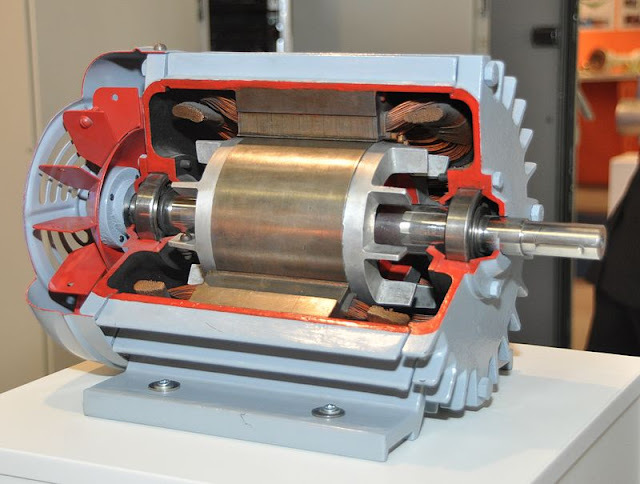 It was this motor that Tesla developed. However, Tesla wasn't satisfied leaving it at that, and wanted to create a means of transmitting electricity wirelessly. This is where the famous 'Tesla Coil' came into play. After his success with the induction motor, we went to explore other areas of where he could put his skill into play. For instance he worked on a bladeless turbine. He then moved to Colorado springs, and being funded by none other than JP Morgan, he got his hands on a dilapidated laboratory and began to work on his theories of wireless transmission. However, at this stage it seemed as if Tesla had overstepped the mark, and despite making further discoveries in regards to the nature of Earth's magnetic field, Morgan decided to withdraw Tesla's funding - no doubt he could not see a sufficient return in his investment. This was Tesla's pet project, and also the project that eventually bankrupted him. The idea of wireless transmission was something that was being explored at the time - Marconi was also experimenting with transmitting messages using radio waves as opposed to using cables. Tesla had already successfully experimented with a remote control boat, however he wanted to take it further - he wanted to remove the poles and wires from the transmission of electricity. His plan was to set up a series of transmitters and receivers, and the electricity would arc between the two. At the exhibition they had a much smaller device where the theory was demonstrated. The problem is that electricity is quite dangerous, and the voltages we are talking about could easily kill a person - so transmitting this wirelessly poses a huge problem. This is do doubt the main reason why nobody has taken up the idea since, and why we still rely on poles and wires. Okay, the claim that mobile phones cause brain tumours seems to pop up every so often, but the fact that we have now been using mobile phones for something like twenty-five years (I got my first phone in around 1998), I don't see people dropping dead on the streets, or even a huge rise in the reported cases of brain tumors - and honestly, with the amount of mobile phones out there - there are apparently more phones than there are people in the world - you would expect that this would happen if the theory was true. Hey, pretty much every house has a wifi modem, and that it not including the free wifi you pretty much find everywhere. However, Tesla's ideas existed on a completely different level. While Tesla was experimenting in Colorado springs with, Marconi successfully transmitted the first letter - S - from his laboratory in Newfoundland. Apparently Tesla picked this signal up in Colorado Springs, and believed that he had just received a message from off world - most likely Mars. The tabloids gobbled this up, though it eventually came to light that what he had heard was from Marconi. Marconi's success suddenly turned the attention away from Tesla. Tesla continued to attempt to generate interest in his projects, and would regularly visit the Waldorf Astoria in New York, but eventually mounting debts forced the banks to foreclose on his property in Colorado Springs, and the tower was demolished. Tesla returned to New York where he stayed at numerous hotels, regularly moving about due to unpaid bills. He made a habit of walking to a nearby park everyday and would feed the pigeons. He would also spend time working on further inventions, but none of them ever matched the brilliance of his early years. In a way these inventions and ideas would become ever more outlandish. In 1931, on his 75th birthday, a party was thrown for this forgotten inventor of yesteryear, and he received numerous accolades from many well known scientists and engineers, including Einstein. However, Tesla was now well past his prime, and his glory days where behind him. He died on 7 January 1943 at the age of 86. 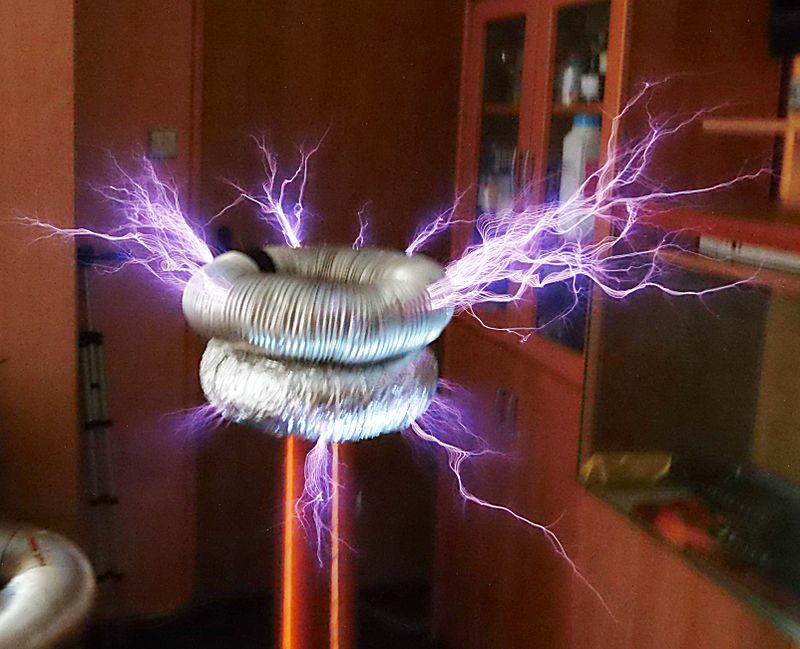 Of course, there is also the Tesla Coil, but I'll let Wikipedia deal with that one.